I remember Tsurunen being elected all those years ago and the hope of positive change it might bring. Instead we’ve had nothing but deafening silence. Quite frankly, I had no idea he was still involved in politics. To be fair to Tsurunen, it’s not his job to be looking out for the interests of NJ. Especially in a field as fickle as Japanese politics, it probably wouldn’t help his career if he was seen to be campaigning for what the majority of the electorate see as outsiders. I’d love to see the man remind Team Japan of their actual ethnic and cultural diversity – but then again, there are 123 million others who should also be doing that. — Well, if Tsurunen won’t, then who will? He’s got to. That’s his place in history as a minority in Japan. He should be aware of that and of his position in society. But obviously (by his own admissions) he’s not, and he deserves criticism for not taking advantage of these opportunities. “Americanism is not, and never was, a matter of race or ancestry.” FDR. So much hypocrisy in all this with segregation extending into the U.S. military, which is a shameful part of American history, I think. But I get the point: At least FDR made this key statement, even if the 442 was used as cannon fodder. Is there a quote from a major Japanese politician to say that being Japanese is a matter of race and ancestry? Or do we just have to look at the Koseki system. Yours, the alien appendage in my wife’s family register. What exactly do you mean to contrast between Hirono and Tsurunen? You say he has done nothing for NJ, but what has Hirono (or even Inouye) done specifically for Japanese Americans? If Hirono’s accomplishment is getting elected, well, Tsurunen got elected too. In addition, due to Hawaii’s demographics Hirono’s election is not at all exceptional. Inouye is celebrated for being American, not for going out of his way to be Japanese American. Tsurunen is doing the same. You want to untangle race and nationality, yet you hold Tsurunen to a different standard because of his race. — Disagree on all counts. Especially if you dare argue that Inouye has done nothing for Japanese Americans. BS: >This MUST be untangled by Japan if it ever hopes to encourage people to come in and settle down as “New Japanese”, not to mention allow people of mixed heritage to breathe as diverse people. 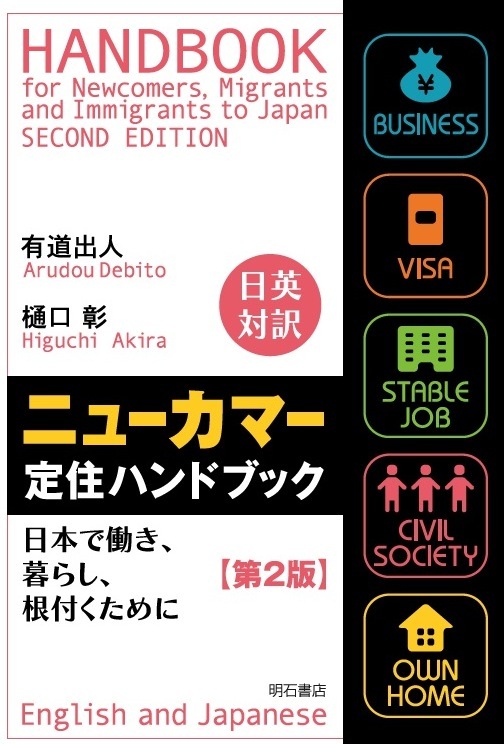 DEBITO: @BS: When have the designers and the elites within the Japanese nation-state ever considered what the Japanese people want? What they consider is how to socially engineer Japanese society. I am arguing that the GOJ is going to (as usual) have to engineer Japanese society to be more open to new Japanese if it to ensure its survival as a viable nation-state. The GOJ is very good at telling society to do things that are unpleasant but good for society (as the elites see it) as a whole. Being open to immigration now counts as one of those things. And I’m glad you cited your environs of Shizuoka. Even in Hamamatsu, of all places, the local government soon faced reality and took very concrete and progressive steps (including the Hamamatsu Sengen) to try to make NJ more comfortable and assimilated. The government leads and puts out the social goals, the people accept them and follow. That’s the way it’s historically worked in Japan since at least the beginning of Tokugawa. And that’s how Japan is so able to work what the outside world sees as economic and social miracles. RM: The Roosevelt quote misrepresents American history. “Americanism is not, and never was, a matter of race or ancestry.” Really? I could go on and on about how that was most definitely not the case, focusing just on Roosevelt’s own administration. (Concentration camps for Japanese Americans, denying social security benefits for domestic workers, federal institutionalization of redlining in home mortgages, etc, etc.) I get the comparison, but I think it’s a false one. Race has always, always been central to an American identity. Even today. Plus, I’m not sure Japan does hope for ‘new Japanese.’ More cosmopolitan folk can wish for a more diverse society, but that doesn’t necessarily mean that the definition of who gets to be Japanese would change. DEBITO: @RM: The point is not that what Roosevelt said was an accurate representation of reality. What I am saying is that he was stating a goal, an ideal, that over time eventually came to pass. Yes, race (as a socially-constructed concept) has been central to American identity — as it has in ALL societies, using nationality, social origin, biology etc. as a means to decide the enfranchised and disenfranchised and determine the social order. But what Roosevelt was saying that nationality is a legal status, not a biological one — and it was convincing enough to the military that they entrusted Japanese-Americans with guns. For all the imperfections of social enforcement regarding racism in the US, this disentanglement of race and nationality is still something that every society that wishes to make new citizens from outside (and inside in future generations) must realize, explicitly state as a policy goal, and repeat for as long as possible until it becomes normalized in the social order. It has to start somewhere. But Japan is nowhere near that starting point anymore and under these demographics it will ultimately be Japan’s undoing. boundary work is key to group membership. that is, for the group to exist, you have to have someone outside the group. whether that line is drawn around race, and whatever race means, varies by context. both US and japanese identity have their share of fictions. as anderson said, they’re imagined communities, and they’ve been imagined in ways that have led to genocide, slavery, colonialism, exclusion. just as roosevelt’s comment did little other than to make it easier for white americans to pat themselves on the back as lovers of freedom and opportunity, i think similar statements from politicians in tokyo would be just as empty. the openness of an american identity has been fought for from below, not proclaimed from above. japan and the US are different places with different histories, but i still think that long-term change gets pushed from below. tokyo pols have put forth all sorts of statements on tabunka kyousei, but on the ground, in neighborhoods and schools, those statements mean little to nothing. you’re right that the japanese state has done little, especially at the national level. but at a more local level, there’s more activity. to date, that local action has not accomplished change on a larger scale. >Disagree on all counts. Especially if you dare argue that Inouye has done nothing for Japanese Americans. It was a rhetorical question that you could have just answered anyway, but whatever. The work he did in getting the government to allow Nisei to serve in the military was before he was elected, and I was referring to his time in Congress. While in office, there was the Civil Liberties Act of 1988, which he had a role in but was not the sole driving force behind – Congress has seen its fair share of Japanese Americans. He didn’t go out of his way to target Japanese American issues. NJ don’t have the equivalent of Manzanar for Tsurunen to seek reparations for, so I ask again: What is it you wish to contrast between Hirono/Inouye and Tsurunen? If you want to criticize Tsurunen, that’s fine, but trying to compare him to Japanese American politicians doesn’t work. Besides, Hirono hasn’t had a chance to do anything yet. Other points I was going to mention (internment camps and yes-yes/no-no) were addressed in the facebook comments you posted above, so I’ll not add anything there. — Nor will I. I made my points above. 1. The story of Japanese Americans, especially in Hawaii, can be boiled down to two words. 1.Numbers. 2.Unity. During the pre-war plantation era, they were marginalized, and not allowed a seat “at the table”. After many came back from serving their country (the same one that locked up their families while they fought in Europe), they were confident. And organized. And they used their numbers (and the G.I. bill) to go to college, and change things. Note: I was at a Mazie Hirono event about 3 years ago (by mistake), where she told the majority local Japanese audience that Japan is special, because they are the only country in the world that has an emperor…. other countries have kings, but that is different. 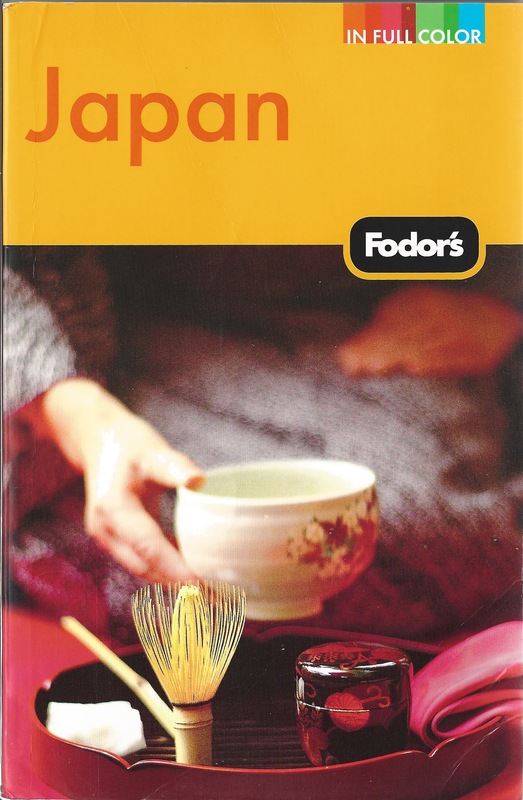 Therefore, Japan is unique (as in superior), with core values that make her, a product of Japan, work extra hard for “her” people… The local Japanese audience ate it up. And she won yet another election, voted in largely by other Japanese Americans (the largest group of people who actually show up and vote in Hawaii). 2. There is a reason why the third world is still the third world. In Costa Rica, getting license plates for an imported car, or opening a bank account can turn into weeks of paperwork. They (the locals) don’t seem to be in a hurry to streamline their bureaucracy. They could change, but they don’t. If you want to do fast business, you will leave the country. Many of the comments above suggest that Japan “has to” do specific things to move forward. I disagree. Most white people in the U.S. did not understand, like, or care about Japanese Americans until after WW2. The military performance (of Japanese Americans) in the war changed a lot of minds. Japan/Japanese people really need to see a reason to share what they already have with “newcomers”. I think they presently do not. If Japan does not modernize, and make living there easier, many NJ will get frustrated and leave. But how does this really affect average Japanese people? Answer: it doesn’t, in any way they can see or feel. Should they change many of the race-based laws? of course. But who cares about morality? Ex. : If you starve 1 million North Koreans, Kim Jong Un will still eat 3 times per day. The Army will have the same number of bullets and rockets. If you starve 10 million he will still eat the same, while many die around him. Similarly, the people who have no voice in Japan WILL be affected, while the people who run Japan have a large cushion to protect themselves from the adverse results of their decisions. They are small minded, and privileged, and they (mostly) just don’t care about other people, let alone NJ. A few nations, mostly in North & South America, are very open to people of different backgrounds. Many are pro-business. They were largely populated by emigrants (non-first sons, who would inherit nothing) looking for opportunity. Most are not. Japan is in the latter group. Change may be coming, but it will be an awfully long time (if ever) before Japanese law provides protection to/opportunity for minorities. Yes, this is Japan’s loss. But the majority want it this way. The U.S. became stronger because of the smart, hard working people who saw a reason to make the U.S. a better place. This is not the case in Japan. My advice: drink regularly, save as much as possible, always be ready to leave the country on short notice. In that order. @#4&6 What is it you wish to contrast between Hirono/Inouye and Tsurunen? The degree of commitment to the task s/he is supposed to do for the ends. Like I said above, it improves your perception of a particularly bad and hopeless, and helpless, situation that can only be gaman-ed. I think this explains the tolerance of alcoholism in Japan and the hostess bar system (plus that is jobs for the girls). But as someone wrote here last year “Oblivion beckons in a sake glass”. Hah @Baudrillard. It’s so sad but frighteningly true. I literally drank myself off to levels where I could no longer get a hangover the one year I was in Japan. There are many reasons why Japan is known to be a “drinking culture”. I’m not fond of Hirono’s tactics, but like any US politician she just did what it took (appeasing to those of Japanese decent) to get votes. Tsurunen is a do-nothing muppet. He is the equivalent to a Stepin Fetchit making it in politics, point blank. Speaking of Hawai’i elections, here’s a recent Colbert Report on Bill O’Reilly’s racist comments regarding Asians in America (and Rep Coleen Hanabusa). Love it! Yes, that link worked — thank you! Colbert is a master of irony.